It is speculated that the Apple streaming stick may be unveiled along with the company's streaming service in the first half of 2019. 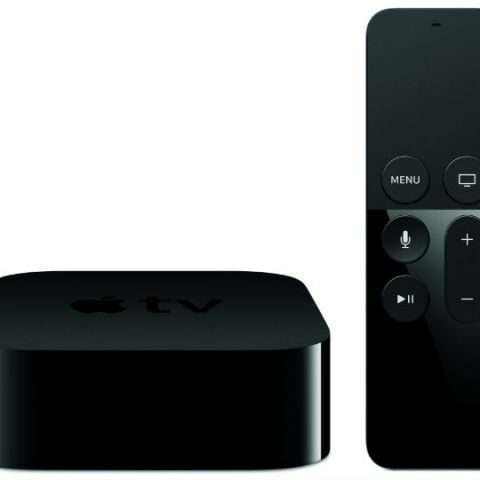 If information circulating the internet is to be believed, then Apple is working on launching a streaming dongle version of the Apple TV to take on devices like the Google Chromecast and the Amazon Fire TV stick. Apple is also working with production houses for original content for its streaming service. Apple’s streaming service is expected to launch in the first half of 2018. Apple refreshed the Apple TV in September 2017 and brought with it capabilities like 4K video with support for HDR 10 and Dolby Vision. During the launch, Apple said that it would upgrade customers' existing content library to 4K for free if the 4K print for the movie was available on the Apple TV. If you have an iOS device, then you have access to the Apple Movies service where you can purchase movies. You can do so on your Mac, iOS device or the Apple TV. With devices like the Fire TV stick and Chromecast costing very little, it looks like Apple has the potential to enter a whole new market if the pricing of the upcoming streaming dongle is right. If the stick supports Apple Movies, then a whole new audience will get a chance to access Apple’s library of content. In India, Amazon is offering Prime Video membership for Rs 999 for 12 month. With the membership, customers get access to Prime Videos, Amazon Music, Prime Delivery and Prime Reading and more. This offer makes picking up a device like the Fire TV stick a no brainer which also offers access to a bunch of other services like Hotstar, Netflix, News publications, games, music, and more. Amazon also announced the Fire TV Stick 4K in India recently priced at Rs 5,999. The new stick offers 4K along with HDR capabilities and the remote control now supports Alexa. Stay tuned as we will bring you an in-depth review of the 4K Fire TV stick soon. Speaking of Alexa, the voice assistant has made its way to the first-generation Fire TV stick as well. Google Chromecast 3 launched in India: Should you upgrade or consider alternatives like Amazon's Fire TV stick 4K? Apple is not the only company looking to cash in on the boom of streaming services. Disney is expected to launch its streaming service in 2019 with a large catalogue of Disney movies and shows. You can read more about Disney’s service here. Do I need to have a Wifi-enabled TV to use Chromecast?